Sign up and receive Property Email Alerts of Houses to let in Roma Park, Roma Park. Electricity , gardening ,garbage collection and security. Gorgeous Just Built Home to Let!!! A splendid newly built four bedroomed, house is available to let, 3 of the four bedrooms are self-contained and are upstairs with the guest bedroom downstairs. The upper floor has the master bedroom, the two guest bedrooms , a small kitchenette and study. 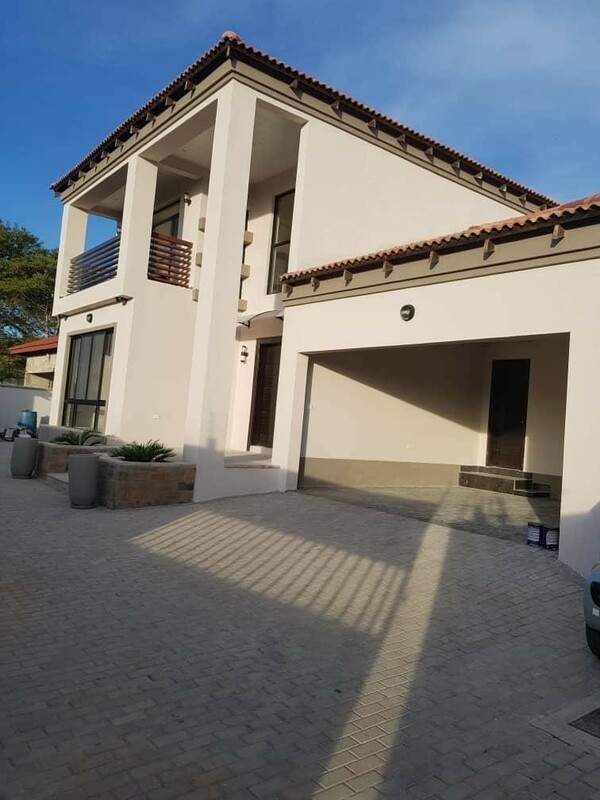 The ground floor has one guest bedroom , two guest toilets and bathroom, a laundry lounge, dining room , TV room and wide kitchen with modern fittings and two pantries. The property is a standalone house on a property size of 1008 metres squared. Sign-up and receive Property Email Alerts of Houses to let in Roma Park, Roma Park.